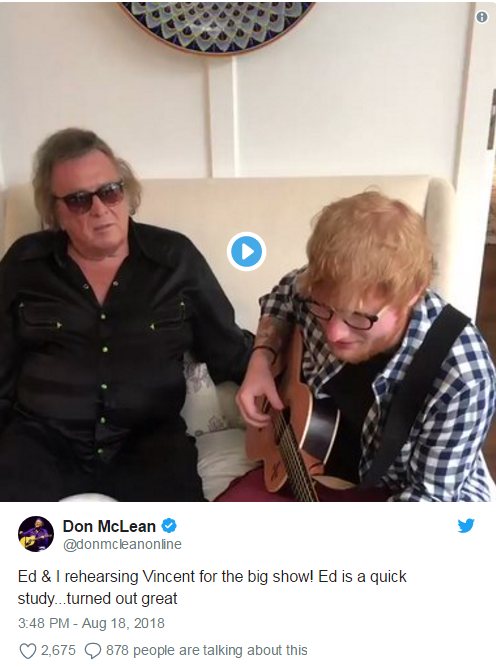 Ed Sheeran, 27, and Don McLean, 72, sent fans into meltdown with their incredible vocal talent while they performed a duet of Vincent backstage. The musicians were performing the song on stage for UCLA Health and Teen Cancer America but they stole a few minutes backstage to practice first as seen on social media websites. In the clip shared over the weekend, Ed and Don sing the lyrics to the Vincent Van Gogh tribute piece while they sit on the sofa together. 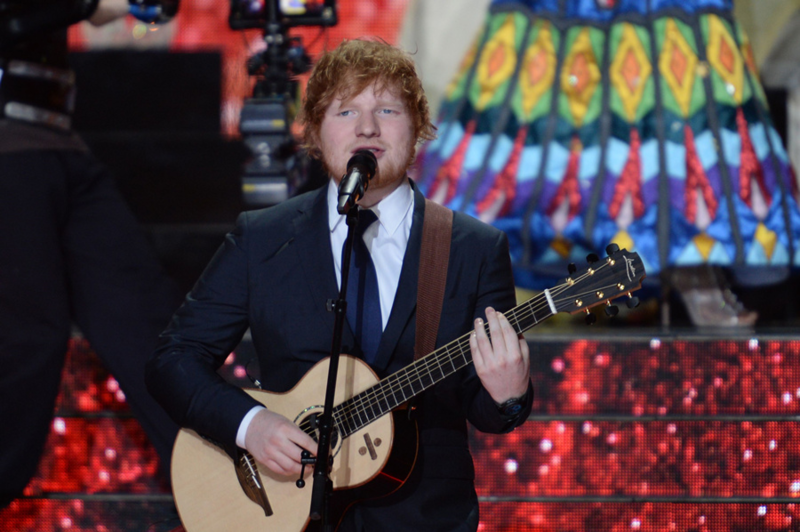 Ed also strummed some notes on his guitar as he belted out the lyrics to the track with Don. Keen to show off their own singing finesse, Ed and Don each took turns to voice the verses to the tune. Vincent is a heartfelt tribute penned to famous painter Vincent van Gogh written by Don and shared with fans. UCLA Health and Teen Cancer America aims to improve the lives of young people with cancer to ensure they receive the best possible care through their journey. Elsewhere, Ed has given an insight into his life as a pop star in a new documentary called Songwriter, where he admits his fears over running out of song ideas. During the new trailer , Ed playfully claims 'I don't have any ideas anymore' as he sits in his car. However, he speaks of a new confidence with the third studio album, revealing he considers it to be his finest work yet.